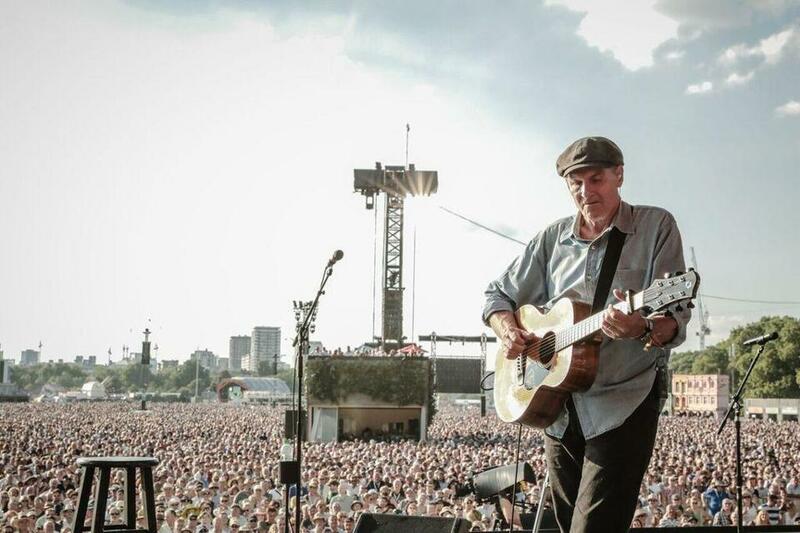 James Taylor performed “Shed a Little Light” in London’s Hyde Park Sunday. James Taylor performed his classic “Shed a Little Light,” dedicated to Martin Luther King Jr., for an audience of 60,000 at a concert in London’s Hyde Park that also featured Paul Simon and Bonnie Raitt Sunday. Before the song, Taylor, who lives in the Berkshires, took a moment to reference President Trump, whose recent visit to the United Kingdom prompted protests. “Ladies and gentlemen, there is an America different than the one represented by that guy,” he said. The crowd cheered their approval.